Everyone knows that video content is king in the digital era of the 21stcentury, and nowhere does this apply more than instructional videos in the world of learning and training throughout corporate America. Video content today is to eLearning what the flipcharts of yesteryear were to traditional face-to-face instruction and training. Question #1: What are the Characteristics of Good Instructional Videos? Built on a solid foundation of instructional design principles. Just like any good instructional content, the video should address one learning objective that is aligned with business goals, and each element of the video must support the learning objective. Structurally sound. Begin with an overview of what will be covered and include recaps throughout – a logical flow is essential. Visually engaging. It’s a well-known fact that people remember more about something they seethan something they hear, so make sure you clearly plan out shots that will show them what you want them to learn. Well-produced. This is not the time for shaky, amateurish footage. Take the time to achieve high production values with well-lit shots and high-quality audio. But don’t just throw in lots of bells and whistles for their own sake. Remember that everything needs to directly support the learning objective. Gratuitous special effects could get in the way of the learning that needs to happen. Keep it simple but high in quality! Question #2: Do I Need an Expensive Camera? When it comes to the nuts and bolts of making instructional videos, many people wrongly assume they need to spend a ton of money on some kind of professional-grade video camera. Not so! You do need a camera with some particular capabilities, namely the following: White balancing, exposure control, focus control and an audio port for an external microphone. If you follow the basic principles of shooting good video, there is absolutely no reason for you to spend more than $300 on a camera that will get the job done. It’s more about how use the equipment. Question #3: What Video Editing Software Should I Use? This is one question you really don’t need to overthink. There are plenty of options out there that are all more than robust enough for your purposes. And just like the question about what makes for good instructional videos, everyone will have their own opinions about what they think is the best editing software. Instead, think about how often you’ll be using it. 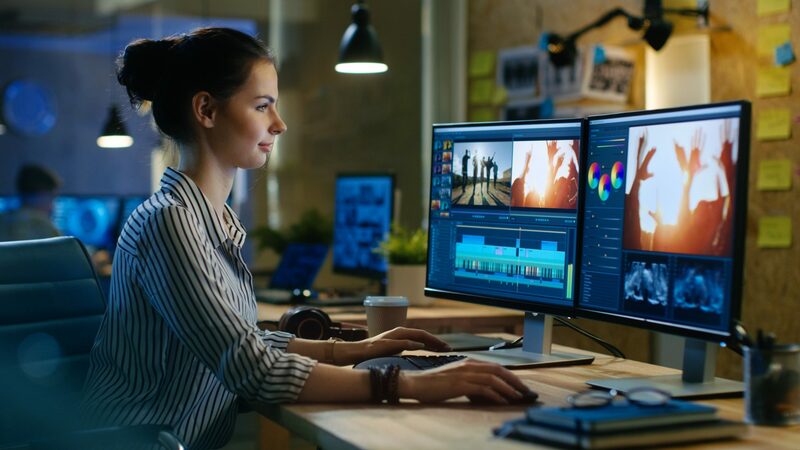 If you’re only going to be occasionally using video editing software, you wouldn’t want something complex because you’ll end up having to re-familiarize yourself with all its features every time you use it. In that case, you’re better off using one of the very user-friendly options like iMovie or Camtasia. Only go for the more complex options like Final Cut if you’re going to be using it every single week. Question #4: How Long Much Time Should I be Spending to Make a Video? How long it takes to make any given video is going to depend on a variety of factors such as your own skill level, how well you plan the workflow, and how ambitious the video is in terms of different shots, locations, etc. One rule of thumb many have pointed to is that for those with average skills aiming for a semi-professional final product, plan to spend 4-5 hours per minute of finished video. Question #5: How Much does it Cost to Produce a Video? This is another one that’s hard to pin down given the numerous factors that come into play. If you’re hiring out the process, don’t be surprised when you receive quotes that are for $800-$1,000 per minute of finished video. Obviously, that adds up quickly, which is why more and more companies are trying to do more in-house creation of instructional videos. Doing so can drop those costs down to an average $165-$200 per minute of finished video, in part because you know learning content better than outsiders. If your company has the resources to spend on hiring outside professionals to produce your instructional videos, by all means go for it. But enough companies don’t have those resources readily available that it is worth your while to begin developing the in-house capabilities you need to produce your own instructional videos. This also doesn’t have to be an all-or-nothing proposition. You can do a mix of in-house and outside video production as time and resources permit. But there’s no time like the present to start getting your feet wet with video production because the demand for instructional videos is only going to keep rising and the chances are good that your company will want you to dive in at some point.